If you’re a B2B brand, chances are you already have plenty on your plate. However, that’s no excuse to sleep on social listening. Think about it. 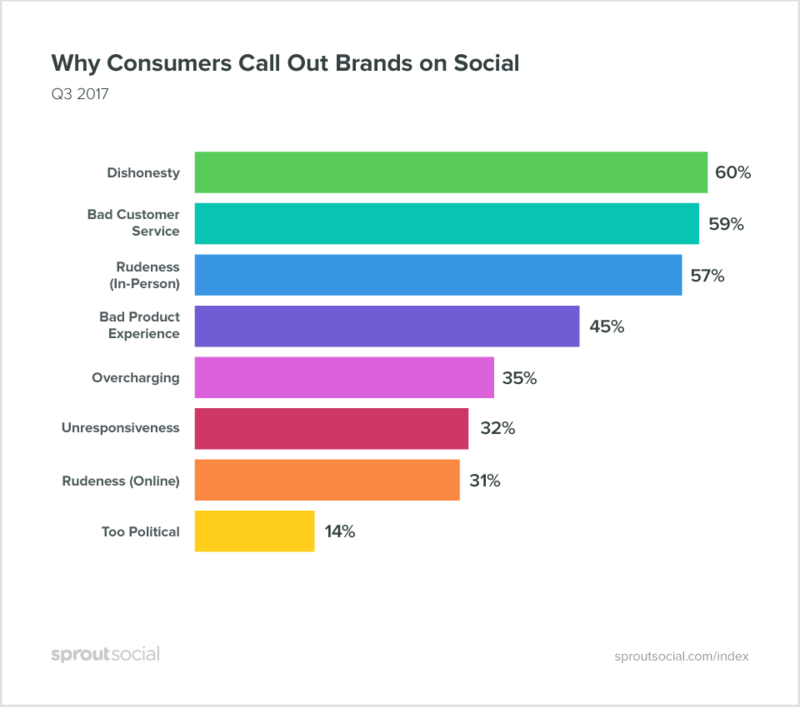 Customers and competitors are sounding off like never before on social media, especially in the ever-so-opinionated B2B space. And so the rules of succeeding with B2B social media are changing. Digging into the data behind your mentions can lead to a treasure trove of insight to help you make actionable business decisions. That is, if you’re listening. Want to uncover what exactly what products and features customers want? Looking to get a leg up on your competition? 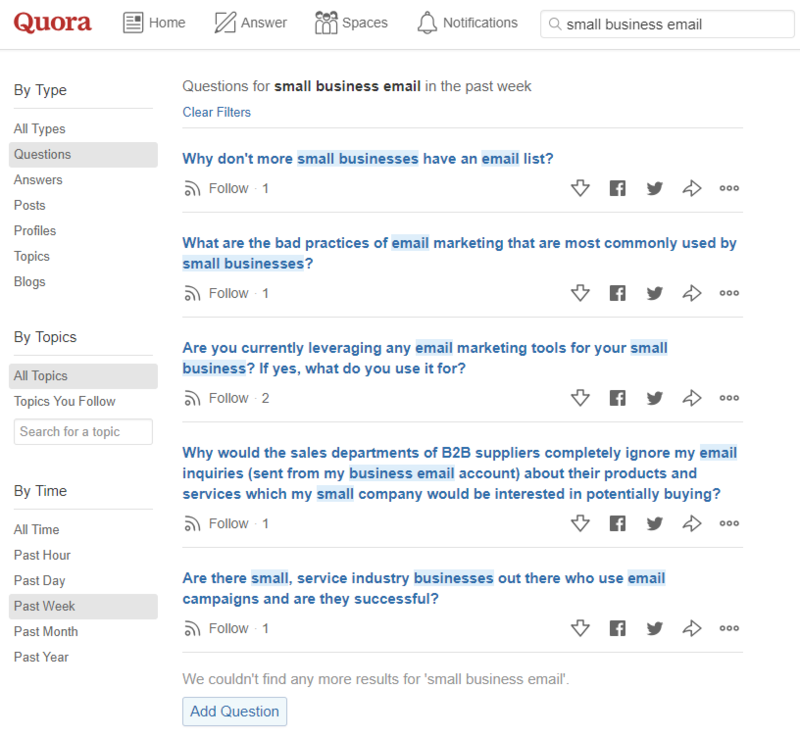 With the help of B2B social listening, those answers are just a few clicks away. In this guide, we’ll highlight how B2B brands can use social listening to build a better business and how to get started ASAP. What are the big-picture benefits of B2B social listening? Some B2B brands might see social media as a black hole when it comes to ROI. Harsh, but we get it. Let’s consider how B2B social listening can be a game-changer in terms of what you get out of your social presence, though. Every interaction and engagement with your customers via social media is a valuable data point. Meanwhile, there’s arguably no better place to conduct competitive analysis and track industry trends. Rather than treat social media like a time-sink, treat it as a place to gather business intelligence. Below are some key ways that B2B social listening does exactly that. People don’t take the time to tag you for no reason. Maybe they have something to say about your customer service. Perhaps they have feedback on a particular product or feature. Either way, B2B social listening helps put those mentions into context. For example, this shout-out from a satisfied Sprout customer reinforces the fact that our customer support team is crushing it. If you want to know whether or not a new feature or roll-out will be well received, social media is a great place to gather unfiltered feedback. For example, Skype recently reintroduced its “Away” status feature which resulted in a flurry of different responses from followers. The takeaway? 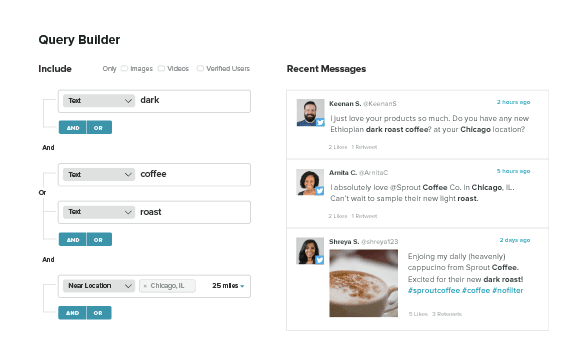 Behind every @mention notification is some sort of sentiment or feedback your business can learn from and act on. Like it or not, we live in a call-out culture online. Customers and critics are anything but shy on social media. For B2B brands, call-outs for poor customer service, bad product experiences and pricing concerns can be particularly painful for your reputation. Ignoring these sorts of mistakes is obviously a bad look. 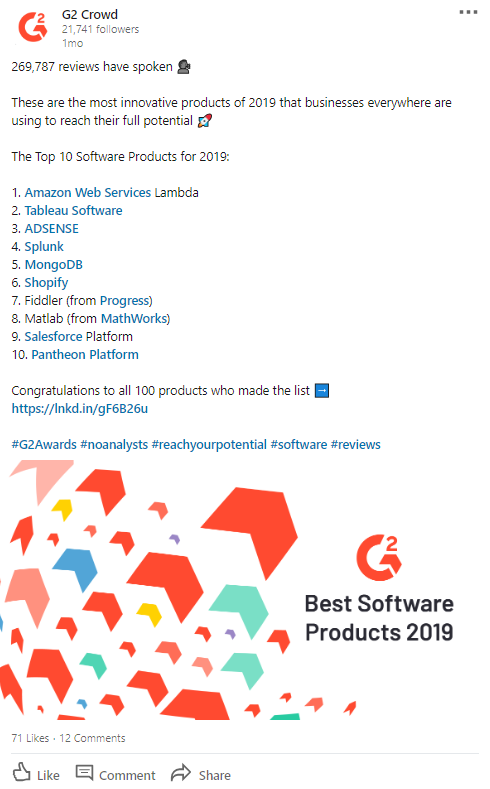 Likewise, you’ll oftentimes see competing products recommended in social call-out threads where your name is being dragged. Heck, sometimes competing brands might even swoop in to sound off, too. Brands are expected to own their mistakes even when they aren’t even necessarily making, well, mistakes. Take for example Slack’s recent logo change which received a somewhat mixed reaction from customers. Although many customers absolutely adored the new design, there was some pushback as well. Slack managed to respond diplomatically to each call-out and, at times, even took the comments in jest. And on the flip side, Slack also managed to show love to customers who were supportive of the change. Reality check: you need to be prepared to deal with the good and the bad when it comes to your mentions. Call-out culture isn’t going anywhere, which is why B2B social listening is so important for maintaining a positive relationship with your customers and industry at large. Want to know what products, features and services that your customers want? Look no further than the social space. Whether it’s current customers or prospects, people are constantly asking for recommendations via social to figure out which brands deserve their business. And if someone is thinking about bouncing to a competitor, you need to take the time to understand why. Social listening can help highlight the unique selling propositions of your own business in addition to your competitors. Having a pulse on both is crucial to your marketing and positioning moving forward. Speaking of competitors, B2B social listening makes it so much easier to keep an eye on your competition. For example, monitoring industry-specific hashtags can help you understand what terms and types of content are resonating with your audience. 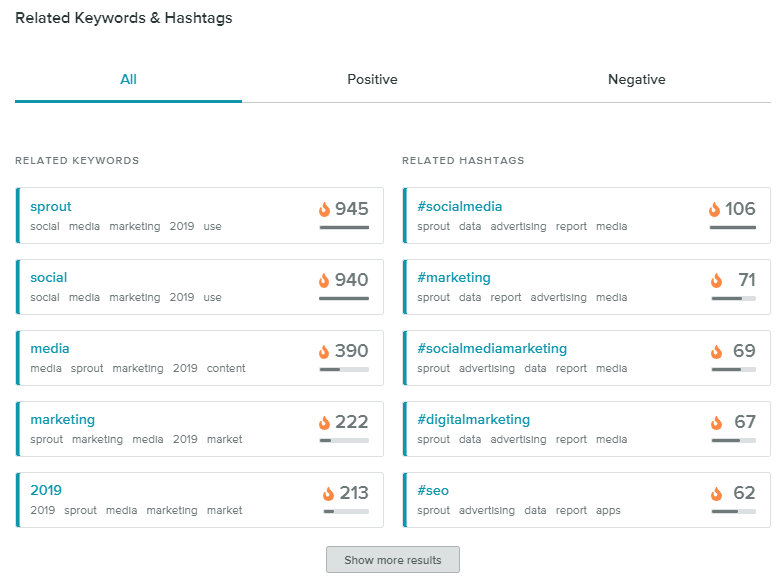 Here’s a snapshot of a hashtag and keyword report from Sprout Social, highlighting branded and industry tags alike. Consider also that not all conversations surrounding your business are happening on the likes of Twitter or LinkedIn. 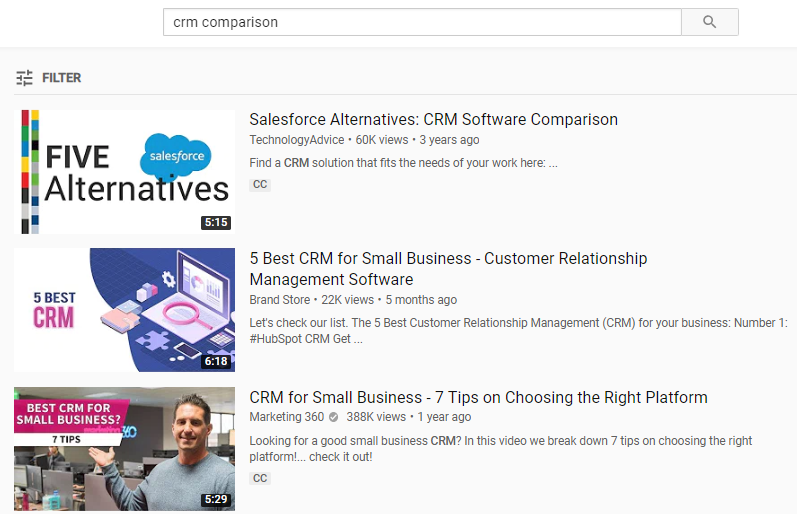 Through comprehensive online social listening, you can assess what brands are being talked about on networks like YouTube which are hotbeds for B2B discussion that you may have been overlooking. This again highlights why brands need to not only track keywords for their business, but also take a holistic approach to B2B social listening that spans a variety of sources. As noted, social listening isn’t solely about your current customers: it’s about finding new ones as well. You already know that your customers are on social media, right? Contacting them directly about your product is totally fair game, especially in the era of social selling and account-based marketing. Just like anything else in the marketing world, you can’t just “wing” social listening. There’s so much information to sift through and plenty of networks to cover. If it all seems daunting, don’t panic quite yet. Below is a breakdown of how you can come up with a B2B social listening strategy that makes sense for your brand. There’s no denying that there’s a lot of noise in the social space. That’s why you need to focus on your social listening on places the most important conversations about your business are happening. Why, though? For starters, Twitter represents a massive customer service channel. If there’s anywhere that customers are going to shout you out or raise a concern, chances are it’s Twitter. Also, many B2B brands and influencers use Twitter threads as an opportunity to sound off on industry happenings. That said, LinkedIn is crucial to your B2B listening strategy. Given that a staggering 80% of B2B leads come from LinkedIn, you quite literally can’t afford to ignore the undisputed professional social network. Beyond acquiring leads, LinkedIn offers a place for B2B brands to flex their influence. For example, let’s say you’re part of a “best of” listicle or you have customers highlighting your awesome new product on LinkedIn. These are the sort of valuable interactions that cement you as an industry player yourself. Once you’ve locked down your mentions and tags on your priority network, take the time to dig through additional social sites to see what folks are saying about your brand. 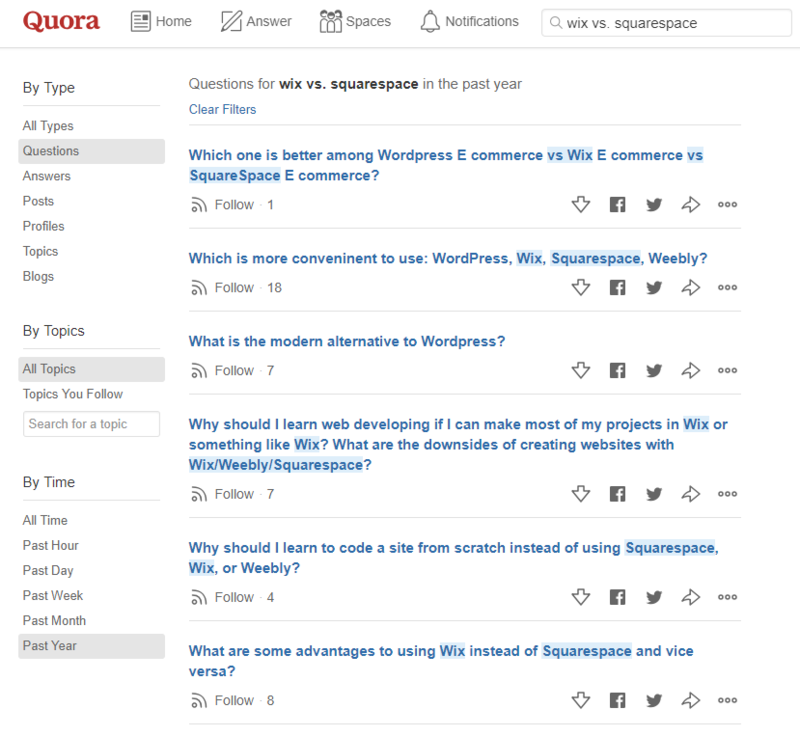 For example, Quora is a popular place for consumers to pit brands against each other. 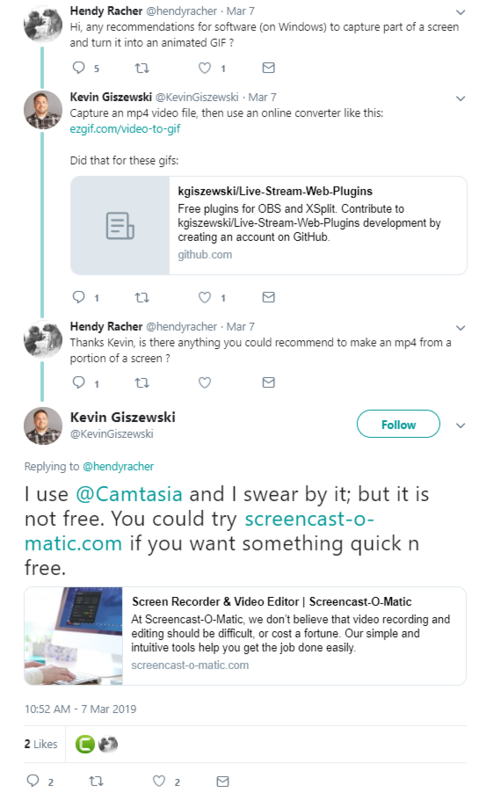 It’s totally fair game to respond to such queries yourself, although many B2B brands don’t capitalize on these conversations. The same rings true on Reddit. Although responding directly as a marketer might be discouraged, Reddit is a fantastic place to gather real-world industry insights beyond your marketing bubble. Also, think about the conversations happening on B2B-specific sites such as Growth Hackers. If you’re invested in content marketing or fellow B2B brands see you as an industry leader, you need to be able to leverage those mentions. If you’re just listening to your brand name, you’re inevitably hindering your B2B social listening efforts. For example, you need to monitor product or industry-specific keywords related to your business. These sorts of queries are what’s going to lead you to prospects and conversations where you can make your brand known. The same logic rings true for hashtags. Signaling your own content as part of a larger conversation, hashtags can also clue you in on what content your competition is creating. Obviously, there are a ton of networks and conversations for your business to sift through. Rather than do it “by hand,” let a B2B social listening tool do the legwork for you. 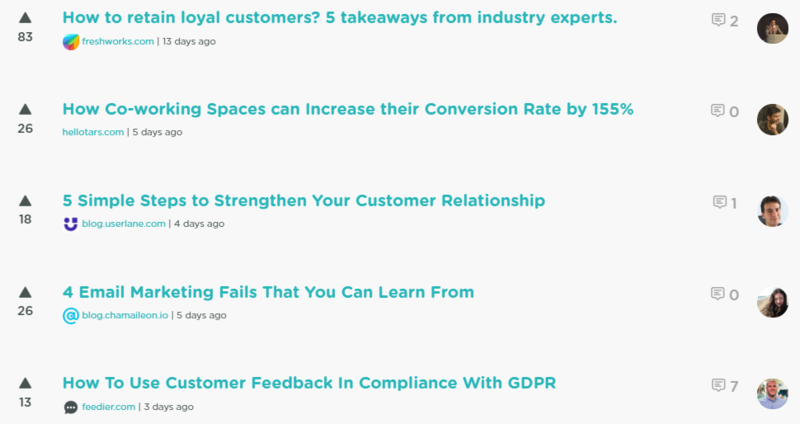 Specifically, Sprout’s social listening features allow you to monitor the critical conversations about your business and deliver in-depth analytics that put them into context. With the help of our query builder, you can search specific brand mentions, keywords and hashtags that pop up throughout the social space. Oh, and this also includes those “secondary” networks like Reddit. 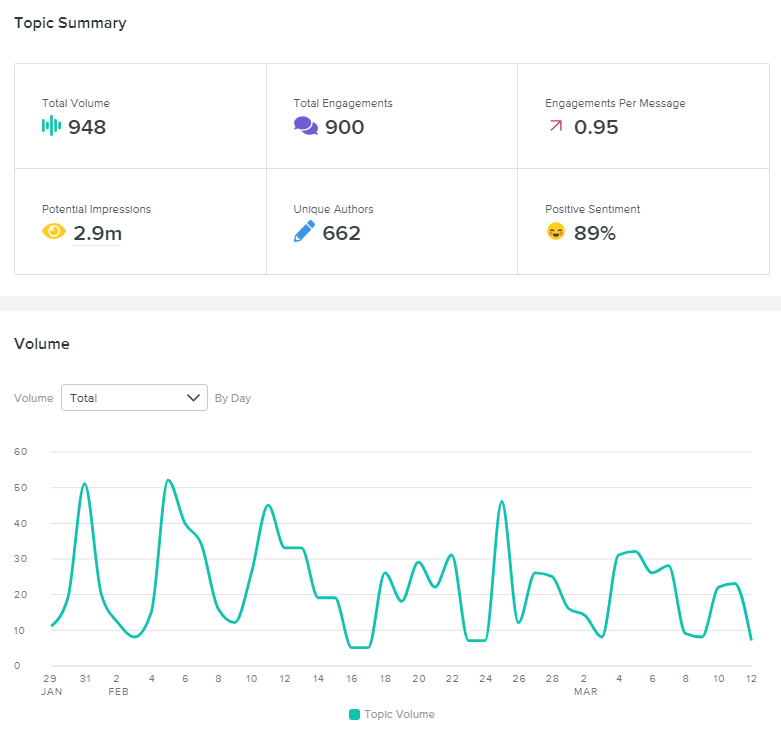 With analytics including search volume, engagement and sentiment analysis, you can take a data-driven approach to tune up your marketing campaigns. This ensures that your social presence grows while also improving your sentiment among customers and prospects. Sounds like a win-win, right? Are you on board with B2B social listening? Listen: the B2B space is crowded. Anything you can do to cut through the noise to determine what your customers want is a huge plus. With the help of B2B social listening, you can do exactly that. From emerging trends to improving relationships with your customers and beyond, social listening can clue you in on what your next marketing moves should be. Any B2B brand should make social listening a priority, especially when there are social listening tools out there such as Sprout that can do most of the work for you. We want to hear from you, though. What are you doing to listen to your customers and competitors? Where do you think the most important conversations in your industry are happening? Let us know in the comments below!